Mission 1: What is a Narrative Story? Mission 4: What is a digital story? We hope that you are ready for Mission 1. 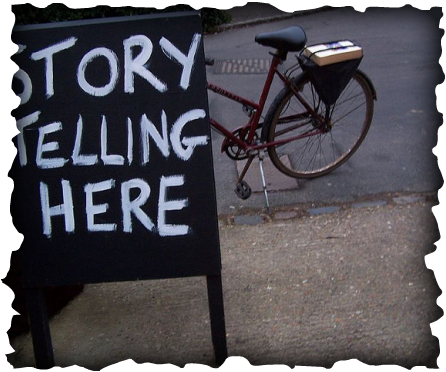 Your mission is to learn about Narrative Stories. Think about the following questions as you watch the films. Watch the following National Film Board videos by clicking on the links below. Once you have finished watching the 2 videos, create a chart like the one below and post it in the narrative story topic in the ELA discussion forum. Mission 2: It's all in the details - Interviewing Techniques. Now that you have completed Mission 1, you are ready to tackle Mission 2. For Mission 2, your objective is to learn about Interviewing Techniques. What are “really good” questions to ask when interviewing someone? What questions will lead to weak or poor answers? With your partner, use the article above to help you list the “top 6 characteristics” of creating excellent interview questions. Post your results in the D2L page for others to view. An example of what your list might look like is provided below. 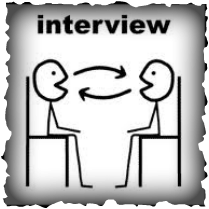 Based on these 2 interviews, choose your favourite interview (was it Interview 1 or Interview 2) In your group, answer the following questions and post your answers to the D2L page. Which interview was the best? Why did your group think it was the best? What were the two best questions? Why were they the two best questions? Is it better to be a good talker or a good listener? Why? Well done! You'e already made it to Mission 3. We hope that you a ready for your next challenge. Get ready. For your next mission you will create some great interview questions in order to get the most details. From the following list of questions below, choose 3 that you think will give you the most information from a fellow student. Write the three questions down on a sheet of paper, and then complete the activity below. 2. How many brothers/sisters do you have? What are their ages? 3. In what other places have you lived besides here? 5. What is the best place you've ever lived in or visited? Please explain. 6. What is the accomplishment that you are proudest of in your life? Why are you proud of it? Please explain. 9. What is something that you would like people to know about you? 10. What is something that people might be surprised to know about you? 11. What is something that you would like to get around to doing some day? Why? 12. Name three things you could do without. What are the similarities between the notes? What are the differences between the notes? 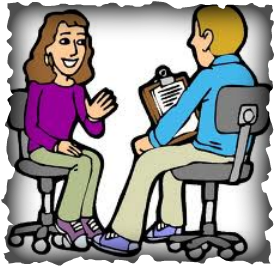 Why are “good” interview questions important? Why is it important to be a good listener? Copy and Paste your answers to your D2L page. Excellent work! You'e made completed Mission 3. Get ready for Mission 4. For Mission 4, you are going to learn about digital storytelling and the various online digital storytelling tools that you could use to create your own digital story. Click here to learn more about digital storytelling tools. 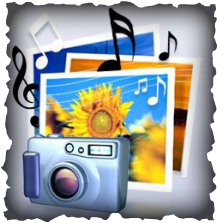 As well, here are a few links to explore about digital storytelling and digital storytelling tools. To complete Mission 4, create a chart like the one below and then share your findings by posting the chart information on the D2L page.